For the first time in 12 years, professional box lacrosse will return to Capital Centre today at 1 p.m. when the Washington Wave meets the Baltimore Thunder in the Eagle League opener. The name says lacrosse — as in small rubber balls, hickory sticks and caged helmets — but don’t expect something similar to the college version of the sport. The indoor version is completely different from the outdoor game. The Wave is one of four teams in the league, which also has teams in Philadelphia and New Jersey. Each team plays six games, and the championship is scheduled for early March. 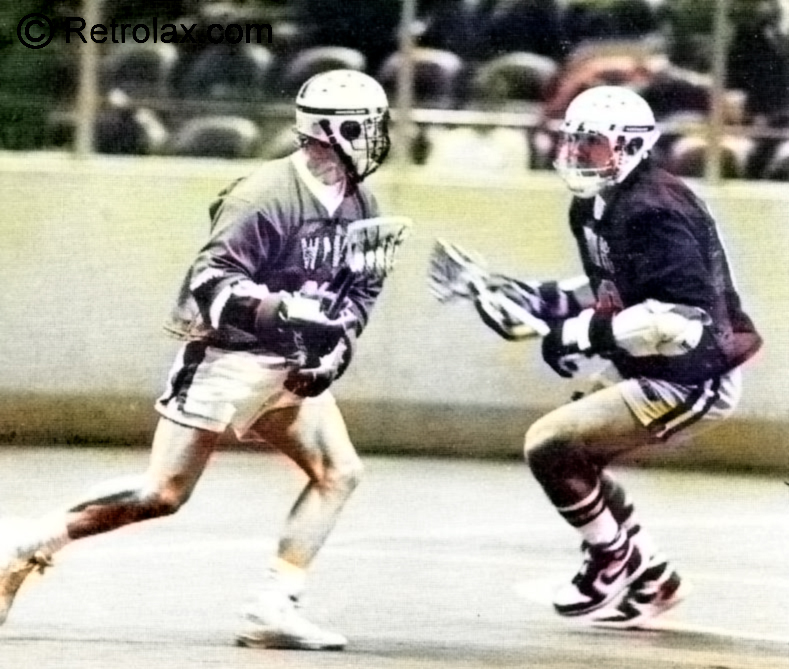 Box lacrosse is being advertised as the sport “that makes Sunday football look like a cabbage patch picnic.” There was a U.S. professional league in 1974-75 and a local entry, the Maryland Arrows, but the league folded after two seasons. Box lacrosse is played on an ice hockey rink covered with artificial turf. There are six players on each team (compared to 10 outdoors), the sticks are considerably shorter, there is a 45-second shot clock and, most significantly, the goal is smaller. Lamon should get plenty of offensive help from another former Maryland star, Frank Urso, and Syracuse’s Brad Kotz, who was named collegiate player of the year in 1983. Greg Goss, formerly of Maryland-Baltimore County, and Johno Steffen from Maryland also are scoring threats. Beardmore’s goaltenders are Washington College’s Bruce Winand and Glen Little, 33, who played for the Arrows 12 years ago. The Wave’s other home games are Feb. 1 vs. the New Jersey Saints and Feb. 25 vs. the Philadelphia Wings.